Spring Dawson-McClure, PhD, is a psychologist and prevention scientist with expertise in community and school-based strategies to promote healthy development among children from low-income, culturally diverse families. 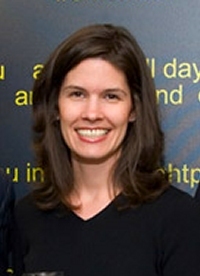 Dr. Dawson-McClure is also currently engaged as a Research Fellow at the Center for Health Promotion and Disease Prevention at the University of North Carolina at Chapel Hill, where she is collaborating on several projects focused on improving access to healthy food for children in urban and rural communities. Dr. Dawson-McClure received her B.S. in Psychology at the University of North Carolina at Chapel Hill. She received her M.A. and Ph.D. in Clinical Psychology at Arizona State University. She completed her clinical training at Bellevue Hospital Center and was awarded a post-doctoral fellowship at the New York University Child Study Center. Her work is published in peer-reviewed journals, including the Journal of the American Medical Association, Pediatrics, Child Development, Maternal and Child Health Journal, Urban Education and Prevention Science.